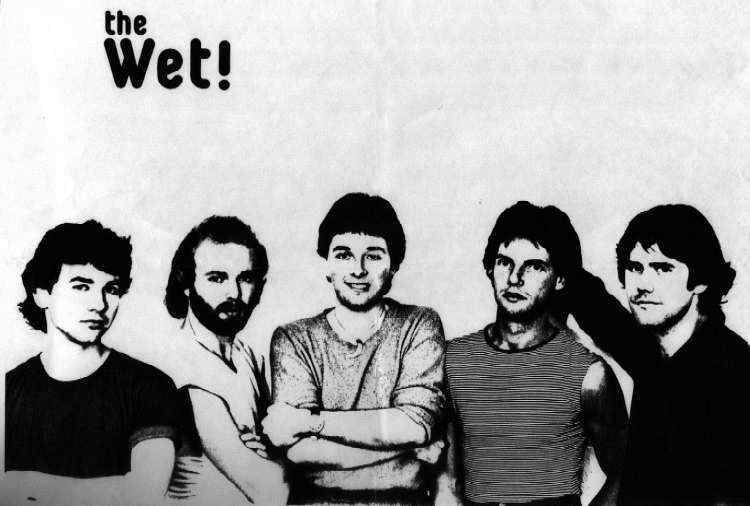 Vancouver power-pop band The Wet! was formed in 1978 by Donn Tarris, Greg Kelly and Lorne Fiedler (aka Id Guinness). The three had been members of the North Vancouver-based progressive pop-rock group Arrival which disbanded earlier that year. Tarris and Fiedler had performed and recorded with North Vancouver folk group Airborne prior to that. They recruited singer Brian Black and soon afterward recorded three tracks at CBC's Vancouver Studios as 'The Names.’ During 1979, the four continued to write and define their sound. The band released a four-song EP in 1980 with drummer Rick Clark. Two of the tracks ‘It's All Up to You’ and ‘Deborah’ received some major market airplay in Canada. The EP received favorable reviews, including one in the prestigious New York Rocker, and the band gigged regularly in the Vancouver area in support of it. The Wet! played with a series of drummers until early 1981, when Eric Annable joined and remained until the band broke up. They recorded extensively during 1980 and 1981 until Donn Tarris left the band. Replacing him was singer Brian Black's brother Jamie who had achieved prior success in England with his band May Blitz. The Wet! continued to perform until breaking up in mid-1982. The band had a few drummers during its short life, including Glenn Henderson sitting in for some sessions, and finished off with Eric Annabelle before the group disbanded. Donn (me) left the band sometime in the early 80s and was replaced by Brian's brother Jamie Black on bass. The band continued to record more material at Donn's studio, renamed Steppingstone Production House following his buying out former partners. Dougg MacCaulder joined as a new partner in the studio about a year before it was closed. Some of the other Pacific Northwest music groups represented in members of The Wet include: Kickin' Horse, Arrival, Airborne, The Doucenbergs, The Boundary Bay Boogie Band, Shakedown, The Neil James Band, The Shoes, Mango Dub, Fab Mavericks and many others NW bands.